Westridge Cluster homes for sale are just a few single-family homes in the distinctive Westridge neighborhood. They are just a lot or two away from the bridge on the Skiway, walking distance to the Snowflake Run, and a quick slide down to Beaver Run. From these homes one can be skiing in minutes with no need to drive and park. Westridge clusterhomes are part of the development around the Snowflake Lift that took place in the late 1990’s. Multi-family lodging had been built close to the lift terminus, and on the remaining land developers and the town had agreed to a skiway, which would include constructed bridges over roads, and stay snow covered all winter so that skiers could go from the Four O’clock run to town and the base of the gondola. After this skiway was laid out, the remaining ground seemed perfect for single-family subdivisions like Westridge, Snowflake and Snowy Ridge. You can find out more about the homes for sale, or check out the available Westridge Cluster real estate listings below. Westridge clusterhomes and a small group of townhomes are the only non-single-family options in the neighborhood. The cluster-homes have more land than most in-town lots – about one quarter acre, but are small compared to the neighbors. The trails from Westridge lead to the ski area, and give access to recreation summer and winter. The roads are modern and paved in this infill-type neighborhood on the ski hill side of Breckenridge. The advantage of a home for sale in Westridge is that they will generally be newer, and be planned by public and private investment with what has now accumulated to years of practice with mountain building. Westridge Clusterhomes are just a few single-family homes in the distinctive Westridge neighborhood. They are just a lot or two away from the bridge on the Skiway, walking distance to the Snowflake Run, and a quick slide down to Beaver Run. Size: 3929 sq. ft. to 3965 sq. ft. Amenities: on the skyway, or Snowflake run, and close to downtown Breckenridge, not much land to take care of. From the traffic circle on the north side of Breckenridge, continue on Highway 9 by taking the Park Avenue exit. After about 1 mile, past through the stoplight at Ski Hill Road, turn right at the next street, which is Four O’clock Road. Take the next left on Kings Crown Road, and then the first right on Snowflake Drive and turn right on Westridge Drive and after the Westridge Townhomes these cluster homes are the three homes on the left. 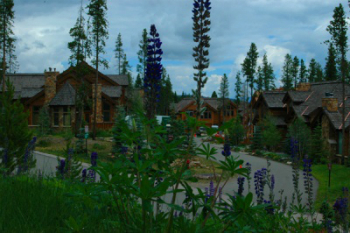 Excited to discuss your real estate opportunities in Breckenridge? Contact us today!